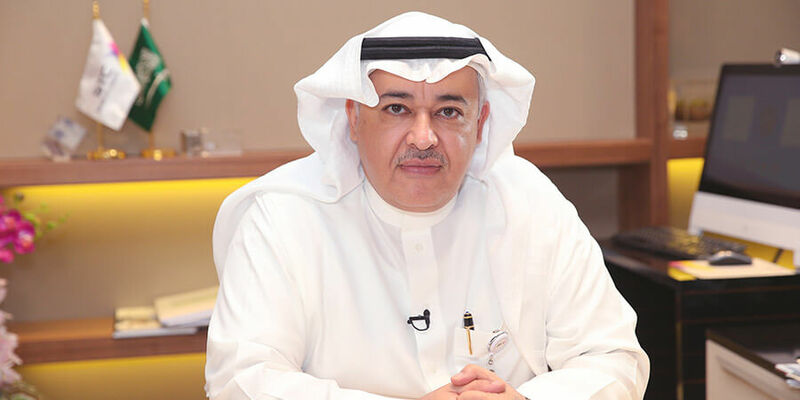 Dr. Khaled Biyari, Group CEO of Saudi Telecom Company (STC), the largest telecommunications firm in the Middle East, speaks to Telecom Review about the company's successful 2017 and future aspirations. Despite challenges facing the legacy telecom sector, STC is investing in talent and partnerships to facilitate a digital future. Under your leadership, STC has continued to grow and retain profitability. What is the secret to your success as CEO of Saudi Arabia's largest telecom provider? Our success, of which we are very proud, was achieved by the efforts of all STC employees. We went beyond our borders to explore new promising markets for expansion, both regionally and globally, to become the leading operator in the region. What is even more impressive is that our growth plans are being executed across different market sectors, providing STC group with an increasingly diversified revenue stream. Financial analysts are reporting that they expect STC to continue the positive growth in our operating revenues. We will continue to provide an expanding range of data services in the local market, in addition to growing our operations in international markets. Our company is moving forward with its strategic plan for digitization and to be a key enabler for the achievement of Saudi Vision 2030. An important part of the Kingdom's vision is to support the rapid expansion of IoT services. The investment opportunities in IoT are huge, with expected revenues of SR30 billion in 2030, according to experts. IoT will create new economic trends and thus new business models. It will require close cooperation and integration between users and service providers in order for the benefits to be fully realized across all sectors. STC has just signed a $1.8 billion soccer broadcast deal, what is your strategy with this investment? Our new digital transformation strategy includes investment in digital media content and advertising services. The new digital ecosystem is creating new opportunities outside of our core business. Value is rapidly moving upstream into the digital services from the pure connectivity products. So we believe that the agreement will generate good, profitable revenue to STC, and it is aligned with the corporate strategy to capture new growth opportunities in digital services and platforms. In addition, the strategy allows us to differentiate our connectivity products through innovative digital services and renew our focus on creating a great customer experience and supporting our customers' changing digital lifestyles. Looking back on 2017, what do you think were some of STC's greatest achievements throughout the year? Last year was the final year of our Next Horizon (2015-2017) strategy. Although there are many regulatory and economic challenges that we are facing as an industry, we see considerable growth, valuable opportunities and unique developments in these exciting times. Our 2017 year-end net profit has increased by 14.3% compared to the same 12 month period last year. The increase in net profit is attributable to our improved operational efficiency and successful cost optimization initiatives. In addition, our investments in the enterprise and wholesale business did pay off. Some of our key challenges are attributable to the decline in consumer sector performance due to challenging economic conditions and regulatory environment. For example, lifting the ban on VoIP has significantly adversely affected international voice calling revenues. However, the impact of the voice decline, on overall group revenue, was significantly offset by the strong growth of our data revenue. Furthermore, our FTTH customer base increased in Q4 2017 by 5.1% and 20% as compared to Q3 2017 and Q4 2016 respectively. In addition, the company's strategy of diversifying our sources of income also resulted in significant growth in our Enterprise and Wholesales sector revenues which contributed very positively to the performance of the company. Also, international revenues from our majority controlled subsidiaries also contributed positively. From a performance perspective, STC has progressed well and has launched several key new initiatives such as the setting up of a large technology venture fund (STV) and rebranding and re-strategizing the retail operations under STC Channels. STC has also launched the new identity for its mission-critical communication services under the name of STC Specialized (STCS), formerly called “Bravo”. This is an important step towards achieving STC's goals and future vision of building a unified, national, mission-critical network for specialized communications, emergency and crisis management. STC Specialized will serve utility and safety sectors with the latest technologies. This network will ensure the Kingdom has world class mission-critical networks to serve all of our citizens, particularly in their times of need. In 2017, we developed our new 2018-2020 strategy that builds on our success and will elevate STC from a national to a regional and ultimately an international leader in digital services by 2020. We will continue working to enhance our role in the KSA national transformation program, in addition to providing excellent digital services to our customers. This will be supported by our ongoing cultural change program that ensures our employees have the very best and latest work environment and a strengthening spirit of “One STC Team”. We have seen in the past the importance of our culture and we know it reflects very positively on the quality of the services we deliver to our customers. STC seems to have put a lot of focus into its Enterprise unit. Can you explain why this is such an important segment for the company? The STC Enterprise unit is based on fulfilling the needs of public sector, private sector and SME customers, as it provides them with ICT solutions and services in a way that meets their needs, regardless of the size of their organizations. Increasingly we are achieving this by delivering scalable, cloud services through our state-of-art data centers distributed across the Kingdom. Our new data centers are connected over a fiber optic network of more than 147,000km, supported by a mobile network covering 96% of populated areas utilizing the latest 4G technologies known as LTE. These national networks are connected to the world through an array of landline and sea cables lines that is the largest in the Middle East and North Africa, with a connectivity capacity of 1.5 terabits per second. This enables us to deliver world class services to the Enterprise market. As traditional revenue streams decelerate for telecom operators, where do you think they should be investing right now? Our focus is to satisfy the local market with the latest digital services, such as IoT and cloud that are key enablers for the Kingdom's Vision 2030. We also focus on enhancing the growth and momentum of our international operations as well as the Group's synergies and integration. As we commented on earlier, the investment opportunities in IoT are huge, with expected spending revenues of about SR30 billion in 2030. The services and applications built on top of IoT will enhance our environment, health care, transportation and society wellbeing in general. This will increase productivity and significantly improve the utilization of the resources in the Kingdom. What is STC's strategy going forward to diversify? Our objective is to move STC to the new strategy that focuses on growth and digital transformation. This will strengthen the company's leadership position in delivering the best digital solutions to the Saudi market and beyond. STC is seeking to become a regional leader in the technologies of the new economy. STC's strategy will support the Vision 2030 and the National Transition Program 2020 by seeking to introduce and invest in the latest digital technologies with a focus on cybersecurity, cloud computing, Internet of things, data analytics and digital identity. We will continue to invest in the most advanced and robust networks for the Kingdom. STC's transition to its new strategy of focusing on growth and digitization, will not only bolster the company's leadership position in delivering the best digital solutions to the Saudi market, but also lead us to realizing our aspiration to be the world-class digital leader in the MENA region. Two key factors that will help STC achieve its ambitious growth objectives are its strong balance sheet and very healthy assets base. STC recently announced the start of constructing the largest network operations center in the Middle East and Africa, in order to enhance its strategy for digital transformation. What was the inspiration behind this? The construction of the biggest network operations center (NOC) in the Middle East is designed to enhance our digitization strategy and enrich our customer's experience in line with the Kingdom's Vision 2030 goals. Robust, secure networks are at the core of the digital transformation occurring across the country and our state-of-art NOC is a key component that will ensure we deliver on our promises to the country and our customers. STC is also investing in training graduates to qualify them for jobs that require high skills in the communication and IT sector. Why is this important to STC? The company has launched the Fresh Graduates Development Program, which is part of the strategic partnership between STC and other leading ICT companies (Ericsson, Huawei, Nokia, Juniper and Cisco). This is a very important initiative for STC and the company aims to invest in the youth of the Kingdom by selecting distinguished Saudi graduates from our national universities as well as from scholarship programs outside of Saudi Arabia, to be trained on the latest technologies in the field of ICT. We will prepare them to start their careers through a unique training program that works on the principle of continuous development. The program is structured to ensure the graduates build on diverse sources of knowledge that range between applied practical experiments and academic curricula. In addition, we just launched STC Academy designed to prepare STC leadership and staff for the digital era. As Saudi Arabia moves to diversify away from oil dependence, STC will likely play an important role. How is STC contributing to Saudi Vision 2030? The Vision 2030 and National Transformation Program 2020 are the road map of economic development for the Kingdom and they rely on digitization as a key strategic goal to accelerate growth in the Kingdom and reduce our dependency on oil. STC, as a national company, dedicates its capabilities to support the transformation in digital infrastructure through alliances with great international companies and investing in telecom and digital infrastructure across the Kingdom. The company will play a fundamental role as an enabler for digital transformation and for digital services in both governmental and private sectors. What are STC's plans for next-generation technologies such as 5G and autonomous vehicles? We have been working on the implementation of "A High Reliability Network of New Generation Technologies", which adopts the latest technology solutions in international and domestic messaging networks. This network will use a number of new, advanced technology solutions such as converged optical beams and geographically diverse network technologies. STC is working with some of the world's leading technology companies to implement these systems. Through this project, we will exploit our international network of land and sea cables with neighboring countries. This will provide highly reliable services to local and regional telecom operators as well as regional data centers and high speed broadband cloud services. The ICT sector is the "starting point for a broader debate on the current and future policies and role of this sector in Saudi economic life." One of the development objectives of the Kingdom's ninth economic plan is to move towards a "knowledge economy" in which ICT is a key component. Our company is a key player in the program that aims to transform the Kingdom's major cities into smart networks. The company is a regional hub and a major connector of the Far East and Europe through a dedicated, smart national land network backed by an extensive intercontinental submarine cable system. The company has achieved this leading position by continuously increasing the capacity and reliability of our networks. What are some of the main challenges STC is facing right now as a telco, and how does the company plan to tackle these challenges going forward? There are no great challenges that will prevent us from growing, thanks to the smart planning and our embracing of the new digital world together with our telecom heritage. Taking the best of our past and building our new digital capabilities will ensure we overcome any of the future obstacles facing the industry and the economy in general. We are building on the digitization trends that will include all sectors, and will continue building infrastructure in IoT and smart cities, which will facilitate services like health care, education, transportation, and other applications. Investing in digital infrastructure, as well as the expansion of our fiber optic and mobile networks are the priorities of STC in in 2018. Also the continued expansion in digital media, digital financial services, IT services, cloud computing and Internet of things, will ensure STC has the very brightest of futures. However, embracing digital talent will be the key success factor in the future, and that's why we have invested in the STC Academy to lead the way in building such a talent pipeline for our future.